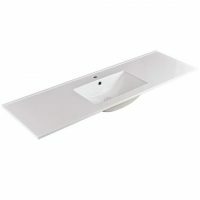 The 150cm Double Bowl Ceramic Vanity Top is a modern vanity top which is suited for installation into a vanity base. It features a clean and contemporary design and will make your bathroom both functional as well as stylish. The 150cm Double Bowl Ceramic Vanity Top measures 600x460x195mm in dimensions. Enjoy the best in practicality and good looks with this double bowl vanity top. 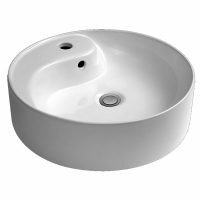 It features two inset bowls that include overflows and offers a choice of 1 or 3 tap hole configurations. 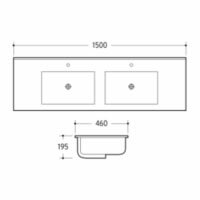 It is suitable for use with a 32mm waste, which is sold separately. 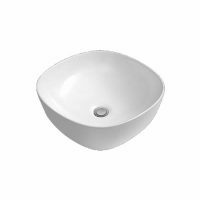 Due to quality manufacturing and high-grade materials, this double bowl vanity top exhibits all the qualities of a superior product. Its thoughtful design allows easy cleaning and maintenance while the high-quality ceramic ensures durability and long life. 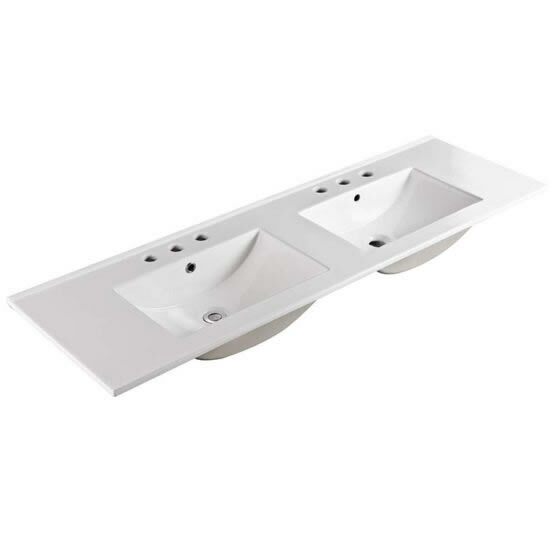 Trust that this double bowl vanity top offers great value for money. For stylish double bowl vanity tops in Perth, choose the 150cm Double Bowl Ceramic Vanity Top available from Ross’s Discount Home Centre. Purchase yours from our online store at the best price today!